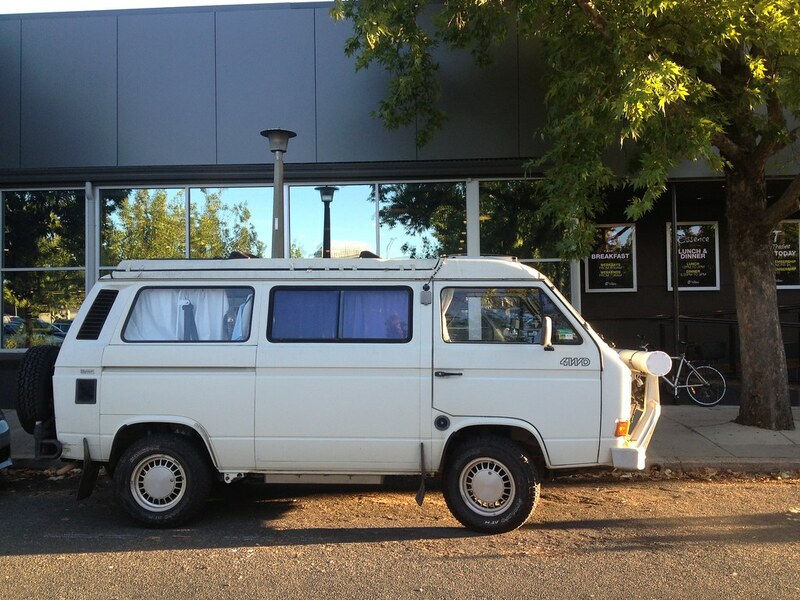 I see this Volkswagen Kombi all the time around Dickson and it absolutely rules. 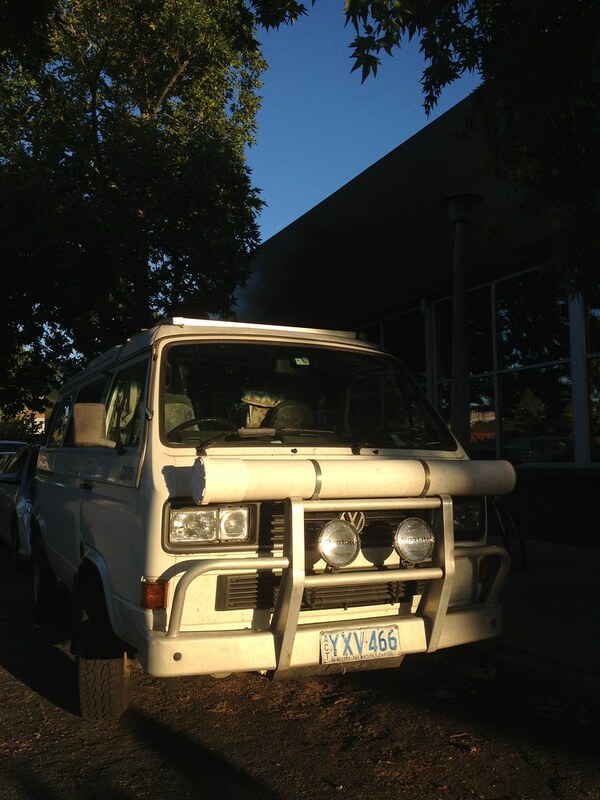 Not sure what the year is but its a Type 3 Kombi, the “Syncro” four wheel drive model from the eighties. I finally got some photos of her sitting still in the golden hour and sent this photo over to Van Life and it’s on the front page as I post this… Stoked! I’m pretty sure that the person who owns it either loves gambling or the two-for-one schnitzel deal at The Tradies because this car is always there on Tuesdays. This car is about as #vanlife as it gets and makes me green with envy every time I see it, both photos taken with my iPhone 4s and jump through to Flickr. Next Article Been to Bimberi?